Playing its season-opener after some teams have played three games already, No. 2 Palos Verdes nonetheless was sharp Friday afternoon in a 13-4 victory over visiting No. 13 Mira Costa. The Sea Kings enjoyed a decided advantage at the face-off dot, with senior Colin Fitt winning 11 of his 12 draws and sophomore Cole Clinton winning 3 of 6. 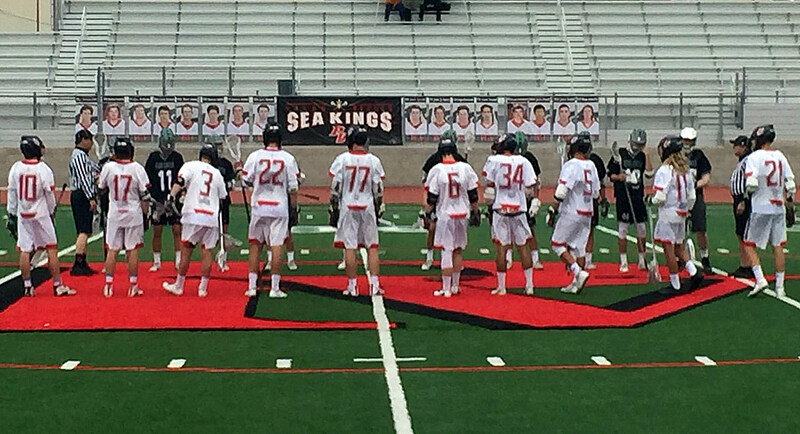 Palos Verdes led 8-1 at halftime. The face-off edge gave the Sea Kings’ young attack line — sophomore Birk Swan (2 goals, 1 assist) and freshmen Brad Sharp (2g, 5a) and Michael Nagy (2g, 1a) — plenty of opportunities to get comfortable. Senior midfielders Beau Sabosky (4g, 2a), Jack Quinn (2g) and Jake Nolls (1g, 1a) balanced the youth movement with plenty of production from up top. Quinn also collected five ground balls. Defensively, junior goalie Kyle McCann was credited with seven saves, and senior defenders Hart Swan (3 caused turnovers) and Josh Park (5 GBs, 1 CTO) and junior Neil Randall (4 GBs) held the Mustangs (1-1) in check. Palos Verdes plays at Redondo Union on Tuesday and is home against No. 5 Oaks Christian on Wednesday before traveling to face No. 1 Loyola under Loyola’s new lights on Friday night. Mira Costa has three home games next week: Monday against Culver City, Wednesday against No. 8 Westlake and Friday against No. 10 Newbury Park.